secondo ch�� percossa fuori o dentro. la gloriosa vita di Tommaso. As from without �tis struck or from within. Where the word �caso�, so close to the examples offered by the Leicester manuscript, supports, in my opinion, the theory of the historic commentators who understood it in the sense that Leonardo uses it, rather than Monti and most modern commentators (cf. Casini�s commentary to the Divine Comedy in the second volume of his Manuale di letteratura italiana, Florence, Sansoni, 1889, pg. 630). The �lago del core� or �mare del core� (cf. sheet 21 v., and sheet 34 r.) also have a Dantesque flavour; as perhaps, by chance, the idea of an imaginary well going through the centre of the earth (sheet 21v; cf. also the Atlantic Codex, sheet 123r.-a Circa la Quaestio de acqua et terra, attributed to Dante and regarding his connection with the quesito, which I have discussed in the second part of note 8 on pg. 18,) may also have been derived from Dante cf. 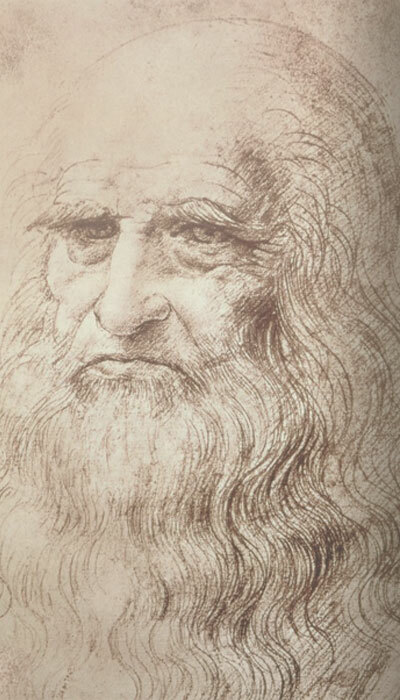 Baratta, Leonardo da Vinci e i problemi della terra, cit., pg. 57-59. with admirable clarity; but the progress of his thought, which led him to a personal reconstruction (often trying out the oddest explanation or those offered to him directly by an analogy with lesser facts observed in nature), is always of great interest.